Freedom in college feels good right? Well, not when you have finals coming up! Here are some test anxiety strategies for college students that will help you manage the pressure and do well on your exams. One of the most important test anxiety strategies for college students is to get organized and create a study plan. If you think that’s an obvious strategy, then you’re right! Research has shown that test anxiety is higher when your workload is higher (Sansgiry & Sail, 2006). Staying organized helps you break your work into manageable steps, manage your workload and reduce your stress. Use the Pomodoro technique. Work for 25 minutes and then take a 5 minute break. After four cycles take a longer break (about 15 minutes). Create memory games. Use mnemonic devices. Mnemonic devices can be a song, rhyme, or acronym. They are great for memorization! Study at the same time and the same place. Best place is your classroom. The more you’re in the classroom where you’re going to take the test the more comfortable you can be when you take the test. Review the material frequently. Check out your course syllabus for a list of lecture topics. Use the BDA (before, during, after) study technique. The BDA technique is to review information before class, identify what information gets emphasized during class, and study after class. 3:1 study credit ratio. For every one credit class that you take, you should spend approximately 3 hours studying. If exams stress you out, visit with a school counselor. They can give you an expert advice on how to reduce test anxiety. 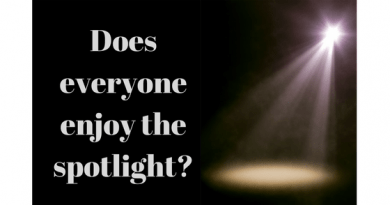 You can talk to them about how you feel about tests, figure out why you are feeling anxious about an exam, and find a solution to relieve the symptoms causing the anxiety. If you are feeling anxious about an upcoming exam, make an appointment with a counselor today. Developing relaxation techniques can give you some peace. Controlled breathing is a relaxation technique that is helpful. It’s also referred as pranayama. Pranayama has been shown to have positive results on test anxiety and performance (Nemati, 2013). There are free tutors available on college campuses. Sometimes college classes may be very large limiting the amount of time that you can further discuss class materials with a teacher. So use tutor services as much as you can. Then when you grasp the concept teach it to someone else. This helps you retain the information. You can even use the Pomodoro technique to include exercise or eat healthy while studying. During the 5 minute break, you can either exercise or eat a quick but healthy snack. One last tip! Don’t wait last minute to start studying for your finals. 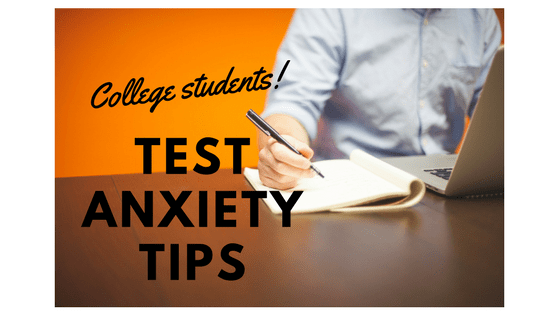 Share your test anxiety strategies for college students! 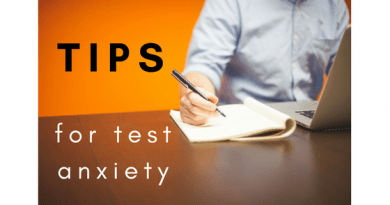 What are your tips for test anxiety? What has worked for you? Share your test anxiety strategies for college students in the comments at the bottom of the page.